The Charleston Jewish Federation is a strong, vibrant, impactful organization bringing together our community, educating this generation and the next, connecting with the Jewish world, and using the power of our donors’ generosity to make a difference in the lives of others. one of the oldest Jewish communities in North America. religiously diverse – from Reform to Orthodox and anything in between. geographically dispersed – we're everywhere in the Charleston area, from Isle of Palms to Seabrook Island, from West Ashley to Mount Pleasant. a diverse population – everything from young professionals to retirees, singles, to empty nesters. In our community, in spite of our diversity, we are bound together by a shared history and traditions. One that pursues social justice and human rights and lives by rich traditions of advocacy, education, and taking responsibility for one another. 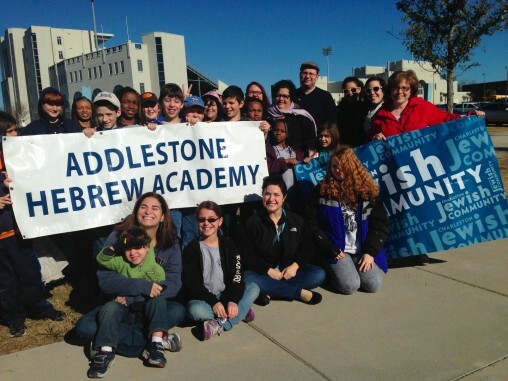 The Charleston Jewish Federation supports many social and humanitarian agencies and programs in Charleston, Israel, and in 70 countries around the world. With approximately 9,500 Jews in the Lowcountry, we are the central funding and organizing arm of Charleston's growing Jewish community and we provide a voice for the entire community.